The French Revolution began in 1789, as the people of France pushed to overthrow the absolute monarchy of Louis XVI. The revolution involved periods of extreme violence in its ten year span, including the Reign of Terror which saw tens of thousands of people killed by public execution. This bloodshed set the stage for a new and efficient execution device. Europe had a long history of using execution devices before the French Revolution, but the guillotine came into widespread use during the years of the revolution. In general, the guillotine was a device that beheaded an individual with the use of a large blade. The blade would be pulled to the top of a large frame, under which the individual’s head, neck and shoulders would be placed. The person would be held into place by stocks and the blade would be released to fall on their neck, decapitating the person. A basket was usually placed below the device to catch the head as it was removed from the body. 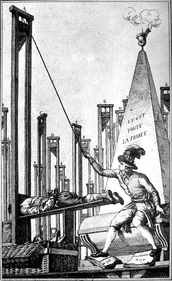 The guillotine was introduced to France at the beginning of the French Revolution. French physician Joseph-Ignace Guillotine introduced the idea of the guillotine to the National Assembly in October of 1789 as a simple, yet effective means of execution. The National Assembly established a committee to investigate a new execution method that would apply to all people regardless of their class in society. Traditionally, the French monarchy had used all sorts of forms of capital punishment, with beheading being reserved for the nobility. The goal was to end the tortuous of forms of capital punishment and instead, introduce a new method that executed the person with as little pain as possible while treating all in society as equals. This is why the guillotine earned the name of the “National Razor”. Eventually, the National Assembly adopted the guillotine as the only method of execution in France and a platform was constructed in Paris in order to carry out all public executions. Throughout the French Revolution, the guillotine would see widespread use, but was most notable during the Reign of Terror. The Reign of Terror occurred from September of 1793 until July of 1794, and was a time period of extreme violence and paranoia during the French Revolution that resulted in the executions of tens of thousands of people. 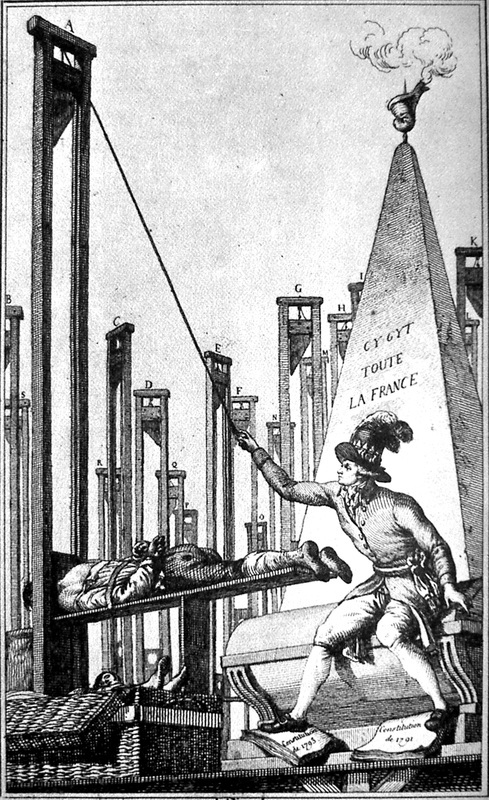 This time period caused the guillotine to be associated with the excesses of the revolution and some called for an end to all of the executions. 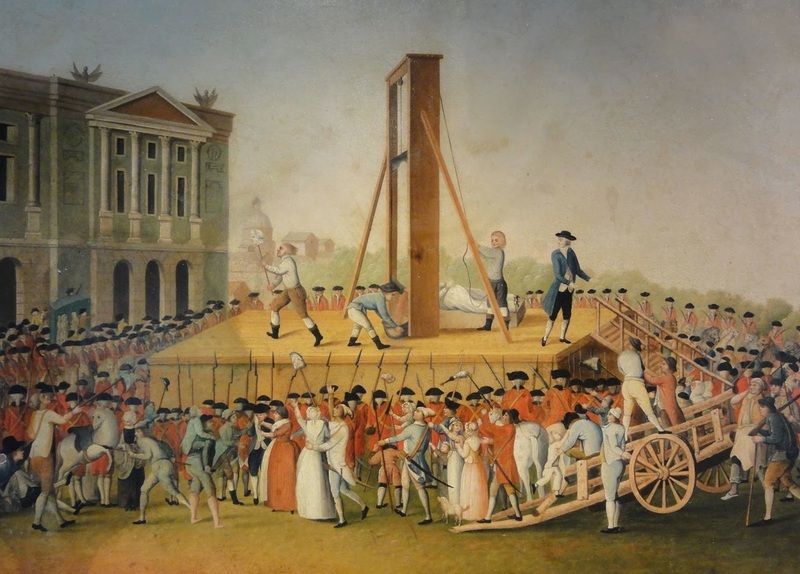 Regardless, the guillotine would continue to be used throughout the revolution and was still used in France until 1977 when the last French citizen was executed by the device.